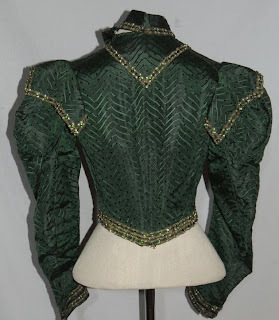 This lovely Victorian bodice is made from an iridescent black / emerald green silk brocade. 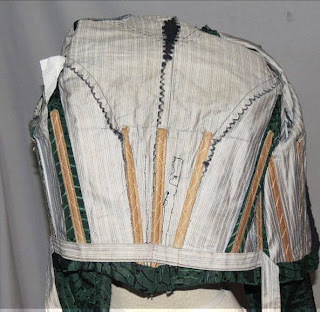 it's lined in striped cotton and has bones in the seams. 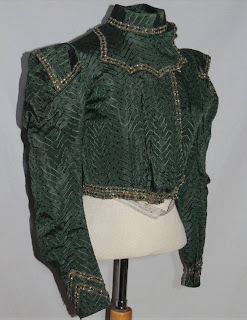 It hooks down the front and has a brocade flap that folds over and hooks on the shoulder and down the side front. 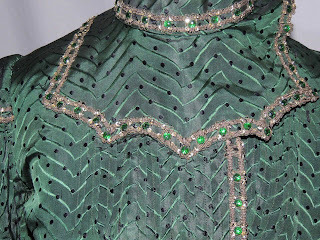 It's trimmed with beautiful metallic gold, tiny silver sequins and large green faceted rhinestones. 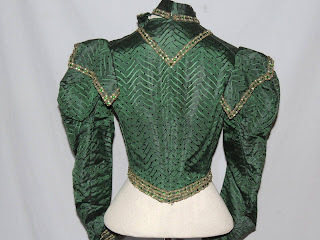 The sleeves are leg-o-mutton styled, full at the top and narrow at the bottom, and it has flaps over the top of the sleeves. Overall all condition is excellent, the silk brocade has pulled out of the sleeve seam at the elbow, but the fabric is not damaged, it just needs to be opened and stitched in. 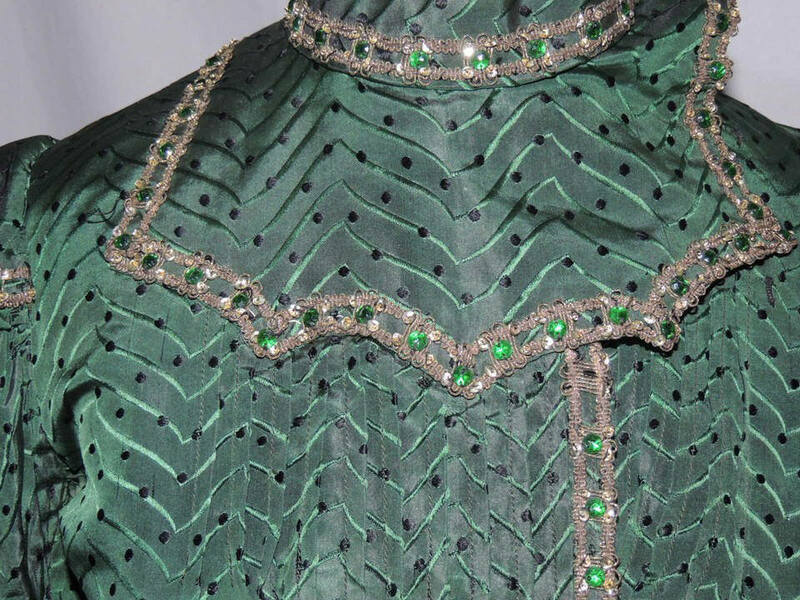 It has an eraser head fray on the side under one arm, and a few beads missing. IT measures 35 1/2 inches around the bust, waist is 26, across the back shoulder is 11 1/2 and is 16 iches long. An exceptionally pretty bodice, in excellent vintage condition. This with a red velvet skirt, and that is so what I would wear for Christmas in 1894! 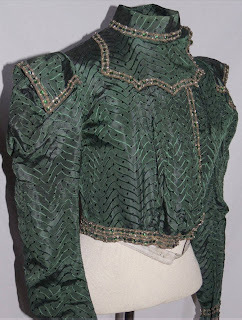 Lovely Edwardian gown with detachable sleeves! Holy Purple Polka Dots, Batman!